It is important to set your machine on cut before every use, to give an even cut, help disease prevention and keep you service costs down. For this demonstration we are using a Ransomes Super Bowl 51. First, if you look at the above picture you have the cylinder and beneath that you have your bed knife or bottom blade. Either side of the cylinder you have two adjusters on this machine the cylinder moves to and away from the bottom blade. We have taken out the cylinder and bottom blade to make it easier to show you how to set the cut. You can now clearly see the two main adjustment bolts either side of the cylinder. 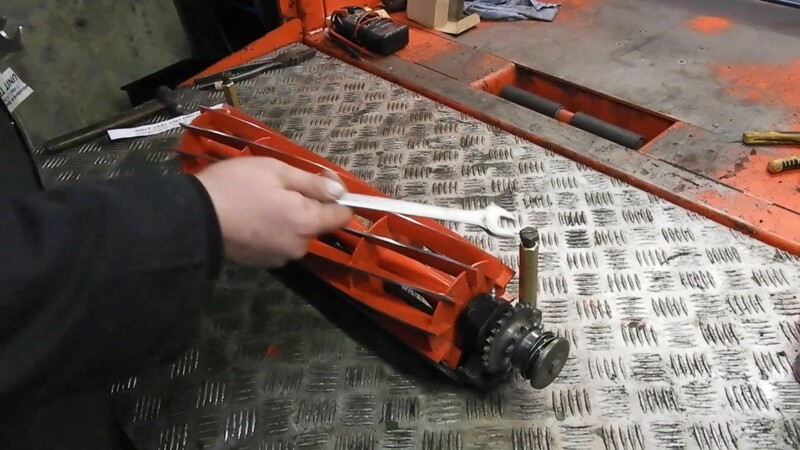 Before adjusting the bolts, you will need the correct size spanner and some paper. 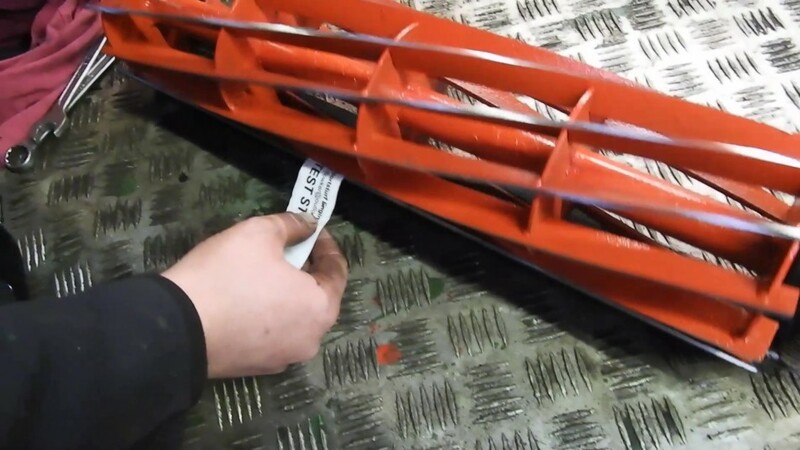 First you get the paper and cut it into strips, then place the strip between the cylinder and bottom blade, you the turn the cylinder and if the paper is not cut cleanly this means the gap between the cylinder and bottom blade is too much. (Make sure you do this along the whole of the cylinder). This means setting the adjusting bolts accordingly. Turning the bolts clockwise little by little either side will bring the cylinder down towards the bottom blade. 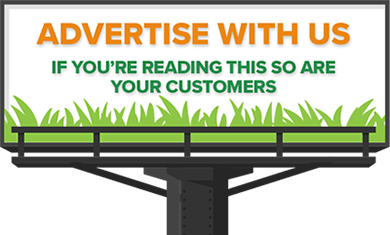 Has you here the blades touch, just ease back slightly on the bolts there should be very little or no contact. Now take your paper strips and place between the cylinder and bottom blade and turn cylinder once again (do this along the whole of the cylinder). 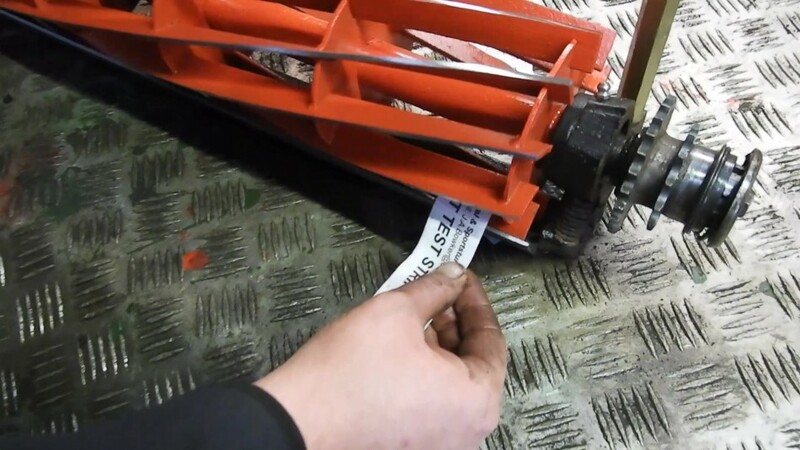 If the paper cuts clean then the cut is set, if you find the paper is not cut adjust the bolts accordingly till the cylinder is cutting the paper evenly. 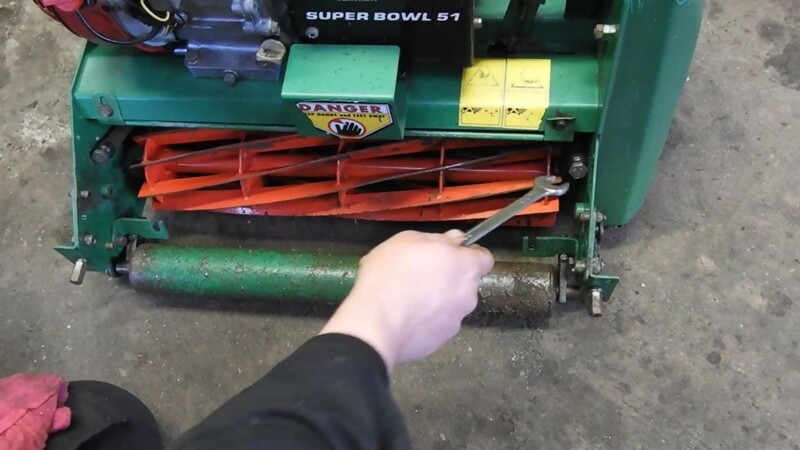 If you find the you can't get the cylinder cut evenly or the cylinder is set to tight to achieve a nice cut its time for the cylinder to be re-ground.